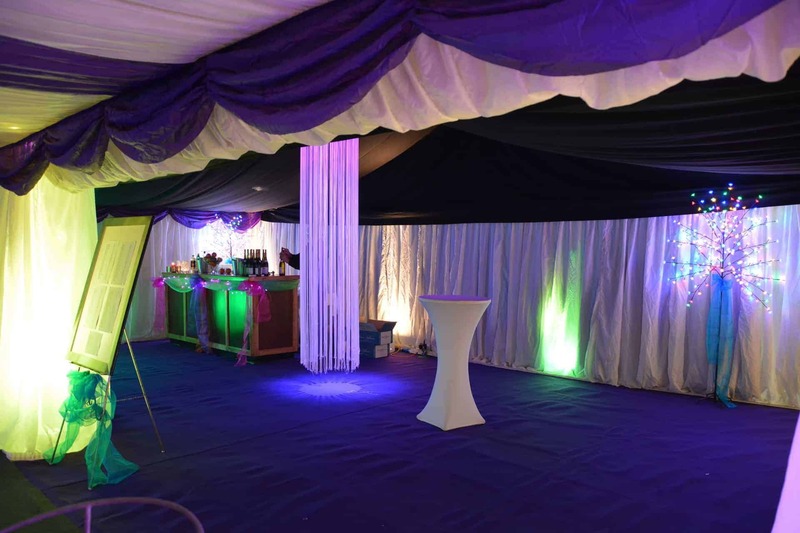 Lighting can play a huge part in creating the atmosphere of an event. 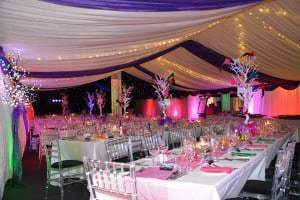 The scene is set with the colours and direction of lighting from playful colours around a dance floor to carefully spotlit tables to highlight centre pieces. 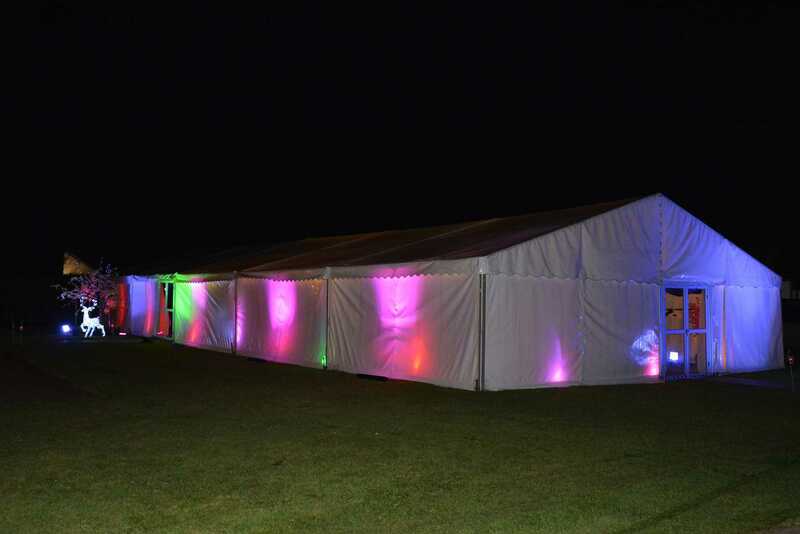 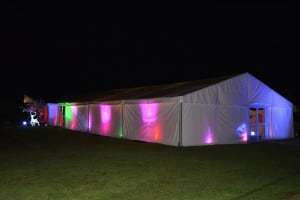 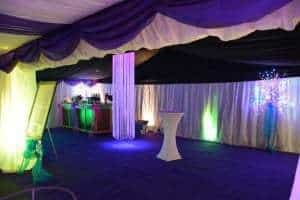 Take a look at the following pictures of a recent event where the brief was to make the marquee fun and bright. Our new advanced LED up-lighters took centre stage in creating a skittles effect around the walls of the marquee, accenting the beautiful table centrepieces and other decorations throughout the marquee.